It's been years since Jim Lee's WildStorm universe has truly existed at DC comics, although a portion of it (like Midnighter and Apollo) was incorporated into the main DC canon with the New 52. Now the entire universe will be reborn, under the stewardship of the legendary comic writer Warren Ellis. Announced through Comicbook.com, DC is reviving Jim Lee's edgy superhero universe WildStorm as an imprint, which it acquired in the late '90s, and then shut down in 2010 ahead of incorporating several WildStorm properties into the DC universe in 2011's New 52 reboot. WildStorm will be handled in a similar manner to Gerard Way's work with the company for Young Animal; Ellis will pen the imprint's main series, The Wild Storm, with Jon Davis-Hunt on art duties, while presiding creatively over other comics spinning out of it, including Michael Cray, WildC.A.T.S. and Zealot. 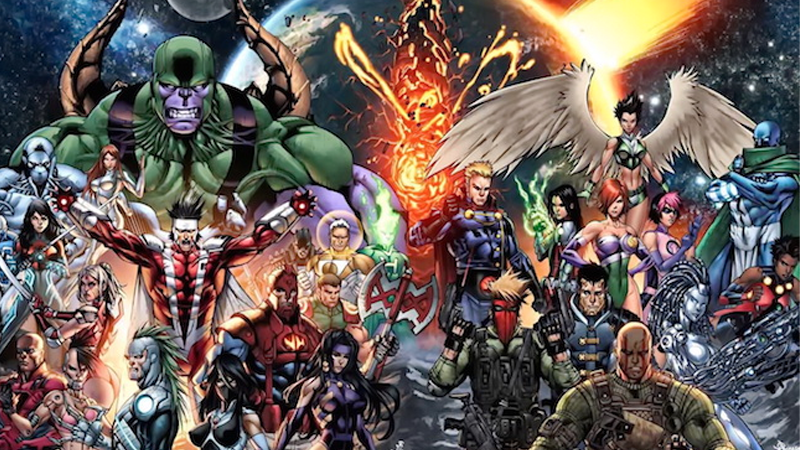 The relaunch will act as an entire reboot of the WildStorm universe, introducing new versions of previously established characters — presumably indicating that characters that made it over to DC's universe like Midnight and Apollo (who are about to get their own series as part of DC Rebirth) might be staying within that realm rather than being re-integrated into WildStorm. There are no further details on WildStorm, including the creative talent who will write the other comics announced today, but DC plans to reveal more at a "Meet the Publishers" panel at New York Comic-Con this Saturday, October 8. Oh man. This might actually be the trigger that gets me back into comics. I loved the Wildstorm universe so much when I first started collecting in the 90's.